No doubt Myeongdong is most famous for shopping, cosmetic, street food. However, for many people, their most memorable experience in Myeongdong is none other than watching Nanta Cookin Show. In this post, we will show you how to go Myeongdong Nanta Theater to watch this famous show (by the way, you don't need to understand Korean language to watch this show. It is so special that they don't need to speak a word to keep you entertained for 1 hour 30 minute). Ticket Price: KRW40,000 (Buy at Theater) KRW28,388 (Book Online). If you don't stay in Myeongdong, the most convenient way to get here is by taking Seoul Subway. Myeongdong Station is on LINE 4 of Seoul Metropolitan Subway. Upon arriving at Myeongdong station, go up to the ground level by using the EXIT 6. Then following the walking map below to get to Myeongdong Nanta Theater which is located just some 300 meters away. Not clear? No worries. More photos to come. Just be on the look out for CHECKPOINT A and CHECKPOINT B and you won't have problem to get there. If you are arriving via subway, just use EXIT 6 to get to the ground. If you arrive via taxi, just get the driver to drop you at EXIT 6 of Myeongdong Station. It is easy to find because Loisir Hotel is located exactly at EXIT 6 of Myeongdong Station. Once you are at EXIT 6 of Myeongdong Station, walk into the alley at the side of Loisir Hotel. After a few steps, you will come to CHECKPOINT A junction, where Nature Republic building (in green) is located on your left and Lloyd in front of you. GO STRAIGHT at this CHECKPOINT A junction, do not turn. From CHECKPOINT A, continue to walk for about 200 meters to get to CHECKPOINT B. On the way, there are many shopping "distractions" as you will pass through Forever 21, Zarra, M plaza and many fashions and cosmetic stores. That is why shopaholic may find this 200 meters street a "long" walk. After walk the 200 meter walk, you will come to CHECK POINT B, which is a cross junction where you will see Myeongdong Theater in front of you. However, Myeongdong Theater IS NOT Nanta Theater. Myeongdong Theater is a cinema like theater and does not run the famous Nanta Cookin Show. This is where many people are confused. So where is Myeongdong Nanta Theater? At CHECK POINT B, you need to turn LEFT and walk for about 100 meters to reach Myeongdong Nanta Theater. Yes, after about 100 meters, you will reach the UNESCO Building (in the photo below). If you don't pay attention, you may not notice that the famous Myeongdong Nanta Theater is actually located here (Can you notice the tiny RED Nanta Theater sign board above Skinfood?). Perhaps Nanta Show is famous enough that they don't even need a big sign board to promote Nanta Theater. That's is it! You have arrived at Myeongdong Nanta Theater. There is only one other theater in Seoul, which is located in Hongdae. 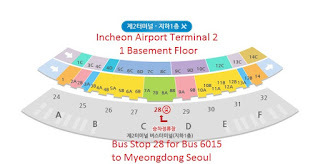 On the other hand, if you are arriving at Myeongdong through LINE 2 of Seoul Metropolitan Subway, then you can get off at Euljiro 1-ga Station and use EXIT 6 to get to the ground. EXIT 6 of Euljiro 1-ga Station on LINE 2 of Seoul Metropolitan Subway. Walk straight from here to go to Myeongdong Nanta Theater. Once you get to the ground through EXIT 6, continue to walk ahead straight for about 200 meters until you see the famous Lotte Young Department Store on your right (across the road). TURN LEFT at this junction where you can see LOTTE YOUNG Department Store on your right. At this point, TURN LEFT into the side street and continue to walk for about 100 meters before you arrive at Myeongdong Nanta Theater which is located at the UNESCO Building on your right, above Skinfood shop. That's it. You have arrived at Myeongdong Nanta Theater from EXIT 6 of Euljiro 1-ga Station. Here you are, getting to Myeongdong Nanta Theater is not difficult. 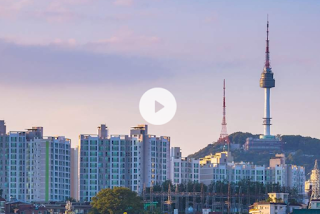 In this post, we show you how to get to Myeongdong either by using LINE 2 Subway and alight at Euljiro 1-ga or LINE 4 Subway and alight at Myeogndong Station. Most people will come to Myeongdong Nanta Theater earlier in the morning to buy tickets for the show in the afternoon and evening because Nanta Show tickets sold out quickly especially on weekends and even during weekday of holiday seasons. If you have credit card, Paypal or Alipay to make online purchase, you can buy your tickets a few days earlier online to avoid any hassle of ticket being sold out on the day itself. What a great guide for all those visiting Myeongdong in Seoul, the Nanta theatre is very popular for it's comedy acts. If I ever get the chance, this will definitely be on my list of places I want to visit. I'm staying in Prince Hotel Myeongdong. Can I know how to go to Myeongdong Nanta Seoul Theatre? Kindly help me direct the way. If you are staying in Prince Hotel Myeongdong, you can follow the route given in the map at the top of this post. Just cross the main road using zebra cross traffic light and get to Loisir Hotel at EXIT 6 of Myeongdong Station. Then follow the direction given in the map to get to Nanta Theatre. Have fun!